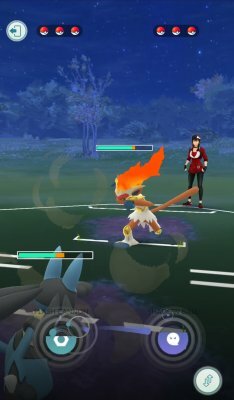 Trainer Battles are the Player VS Player mode in Pokémon GO. This mode has you play against other players using your Pokémon and battle. This was introduced in late 2018 following the initial reveal trailer showcasing it. To battle other players, you need to be local and share a QR code to initiate a battle. However, you can battle with Ultra Friends and Best Friends over the Internet throughout the world, regardless of how far away you are. 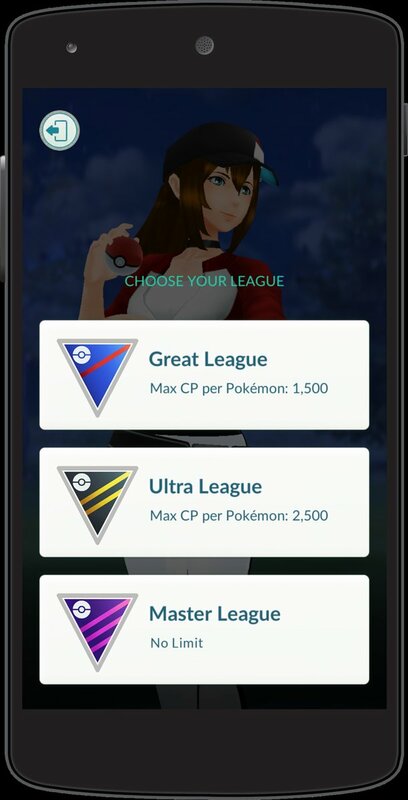 In addition to this, you can also battle the Team Leaders: Spark, Blanche and Candela. In the battles, you can only use 3 of your Pokémon. In order to maintain balance, there are three different leagues that can be participated in. Each has got its own separate party to be stored and has CP restrictions. This results in making a more varied metagama allowing for various other Pokémon to be able to shine. 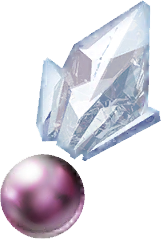 In addition to the CP restrictions, you cannot use the Pokémon Ditto or Shedinja in Trainer Battles. 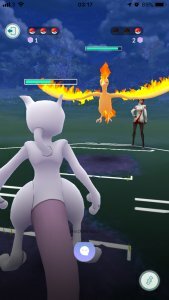 The battle mechanics are much like Gyms and Raids and have a four minute timer. Here, you tap to use your Fast Move which also charges up your Charge Moves. When the Charge Moves are charged up, you can then select to use the Charge Attack. 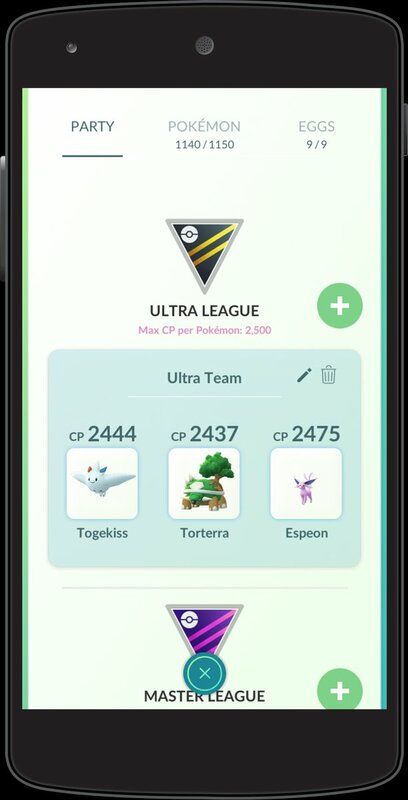 When this is selected, in a change to the Raid & Gym system, the battle stops and the player attacking can tap repeatedly to do more damage with the Charge Attack. Meanwhile, the Defending Player can choose to use a Protect Shield which prevents any damage done to it from the attack. However, each player only has a finite amount of Protect Shields that they can use each battle. As always, players also have a choice to switch out in the middle of battle, to bring in a more suitable Pokémon. When all three of either player's Pokémon is knocked out, or the match timer ends, then the winner is declared based on remaining Pokémon and remaining HP. 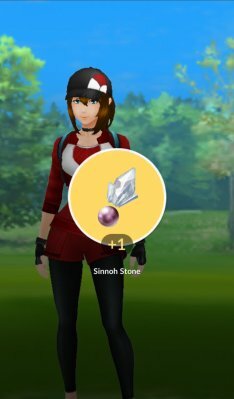 Weather boosts do not impact Trainer Battles and all Pokémon are fully healed after battle.